This event is open to the general public and is sponsored by Public Affairs and Marketing. Registration: Haworth Inn and Conference Center, 225 College Ave.
U.S. armed forces withdrew from Vietnam in 1975, but the troubled legacy of the conflict there forced America to confront the limitations of its power well into the future. During a 2017 May Term, eight Hope College students spent two weeks in Vietnam, gaining exposure to its people, culture and institutions. They also directly engaged the difficult historical conundrums of the conflict that took the lives of more than 58,000 Americans and countless Vietnamese. By the time they departed for home, the students possessed a deeper knowledge about the inherent insanity of war while fully comprehending the gratitude owed to Vietnam veterans who had sacrificed much for a nation whose gratitude came too late. Dr. Fred Johnson III, associate professor of history, has been teaching at Hope since 2000, and Dr. Scott VanderStoep ’87, dean for the social sciences and professor of psychology, since 1991. Both educators co-led the college’s new May Term course to Vietnam this past spring. In addition to being a specialist in 20th-century U.S. history and the U.S. military, Dr. Johnson is a former Marine Corps officer. Dr. VanderStoep is the author of three books on science and faith, and research and learning. Suffering and adversity are an inherent part of life. But what role does religious faith play in how people find meaning, and experience flourishing, in the midst of their struggles? For the past three years, Dr. Daryl Van Tongeren’s research has focused on how people view God and make sense of their worlds in the wake of natural disasters. Drawing from his recent empirical research, Dr. Van Tongeren will discuss how people rely on their religious beliefs to find meaning and cope with severe adversity. In addition, he’ll give practical implications from this work to help those who are experiencing “storms” in life. 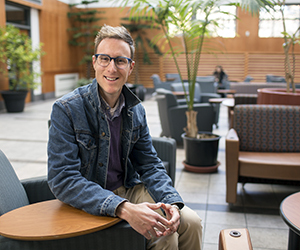 Dr. Daryl R. Van Tongeren, assistant professor of psychology, joined the Hope faculty in 2012. He has published over 120 journal articles and scholarly chapters on the scientific study of meaning in life, religion and virtues, and his research has been funded by external grant agencies, such as the John Templeton Foundation. He earned the 2015 Towsley Research Scholars Fellowship and received a “Rising Star” designation by the Association for Psychological Science in 2016. No woman plans to have her baby four months early, but when motherhood comes sooner thanplanned, one crucial choice a mother can make is to provide her own milk — a kind of medicine only she can make that’s uniquely designed for her baby. Not all mothers with pre-term infants are able to make enough milk for their babies, though. What makes mother’s milk so unique? What feeding alternatives are available for premature infants? Dr. Esquerra-Zwiers will reveal the unique biology of human milk and explain some of the struggles mothers with premature infants endure when not enough mother’s milk can be produced. 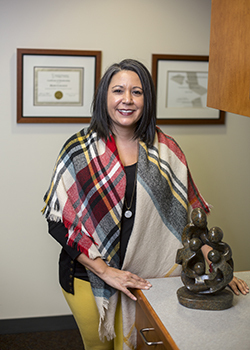 Dr. Anita Esquerra-Zwiers, assistant professor of nursing, came to Hope in 2010. She has been passionate about the subject of donor human milk and maternal milk supply since she donated her own milk to a milk bank and privately to a child in need. Additionally, Dr. Esquerra-Zwiers supports international mentoring as the coordinator for an online trainee-mentorship series for the International Society of Researchers in Human Milk and Lactation. Jeremiah is among the most compelling characters of the Bible. This weeping prophet lays bare his soulful and paralyzing misery, yet he is among the most faithful, durable and determined of all divine messengers. In the gates of Jerusalem, the courts of kings and the courtyards of the temple, Jeremiah proclaimed a message pulsating with staggering judgment and certain hope. Is Jeremiah the ‘Jesus’ of the Old Testament, a striking forerunner—in life and message—of the Christian Messiah? 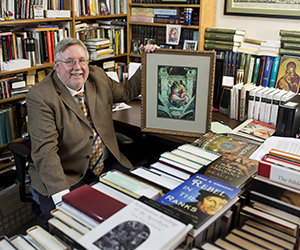 Dr. Jeff Tyler, professor of religion, has been a member of the Hope faculty since 1995. A church historian, Dr. Tyler has plunged into the vast readings of Jeremiah from the Reformation Era as he listened deeply the past ten years to John Calvin, Martin Luther, John Donne and many others as they wrestle with Jeremiah’s life and message. The result is Dr. Tyler’s forthcoming book — Jeremiah, Lamentations (Reformation Commentary on Scripture). Come discover the wisdom of this prophet, and the keen insights of his interpreters—for their fractured time— and for our own. Have you ever heard a beautiful bird song and wished you could tell what kind of bird it was? Have you ever wondered how mathematics and technology can be used to identify birds by their songs? For the past two summers, a team of Hope mathematics professors and undergraduate student researchers has used signal processing and machine learning to identify birds by their songs to a high degree of accuracy. 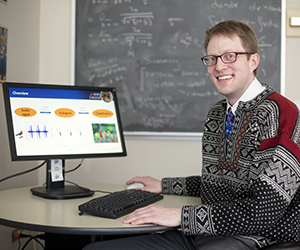 Dr. Paul Pearson, a member of this research team, will bring the birdsong identification process to life through pictures, and a few formulas, that provide an intuitive understanding of how wavelets and artificial neural networks helped to solve the classification problem. Dr. Paul Pearson, assistant professor of mathematics, has been teaching at Hope since 2012. His research interests include applications of signal processing, machine learning, statistics and topological data analysis to solve problems in the natural sciences. Activity tracking monitors have a history dating back to the early 1500s. Recent technological advances to these devices, though, have dramatically increased the volume of information they provide. According to some estimates today, more than one in five American adults use a personal health-tracking device—and that number is only expected to increase over the next few years. So, what exactly are these devices? 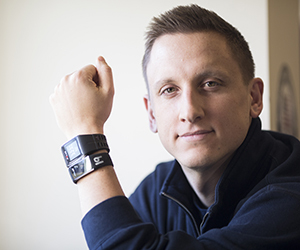 How do they track our physical activity, sleep patterns and calories burned? Most importantly, do they help us make meaningful changes to our lives? Plus, is this information even meaningful and, if so, how we can we utilize it best? This talk will discuss the development of these wearable devices and what current research tells us about their evolution, accuracy and utility. 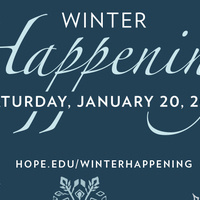 Winter Happening features six faculty presentations followed by a luncheon with musical entertainment.